What is REALLY Happening to Women Lawyers at Big Law? Last Friday I attended another great Georgetown Law program. This one was sponsored by the Georgetown Law Women’s Alliance, and it was a very interesting panel discussion. I am a graduate of GT Law, and I could not be prouder of the programs the law school provides to support its students and graduates. The all-woman panel consisted of two Big Law lawyers, a law professor, and a Federal Judge. The panelists were candid and entertaining and great role models for everyone in the room, from law students to seasoned practitioners. A comment by one of the panelists, a co-managing partner of the DC office of a Big Law firm, got my attention. She said that women lawyers are selecting themselves out of law firms and used that statement as a springboard to talk about all of the other settings that are available to women who want to continue to practice, which include in-house positions, not-for-profit organizations, government and academia. It was a positive spin on a negative problem. I really liked this woman, and most of her remarks were spot on. But, I think this one needs a little massaging. By saying that the women lawyers are selecting themselves out, it puts the burden on the women and makes it sound like it is their fault that they are not succeeding at law firms and staying. The message is that if they want to remain at law firms, they must “lean in” more. The implication is that we are giving the law firms a “get out of jail free” card and putting no responsibility on law firm leadership to also “lean into” the problem. 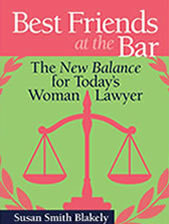 I agree that women are selecting themselves out of law firms and that law firms, as a rule, are not throwing them out. But, there is a big difference between throwing them out and nudging them out. 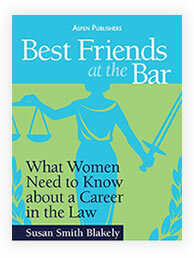 There are many ways that law firms are nudging women lawyers out. 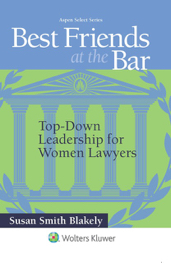 The whole culture of law firms can be very unresponsive to the values that most women bring to the workplace — values like cooperation, collaboration and teamwork, finding common ground, and negotiating for the best deal not the most recognition and bragging rights. That can be a big problem for women and create uncomfortable working conditions that subtly encourage women lawyers to leave. Do you feel the nudge? Tune into my next blog to learn more. 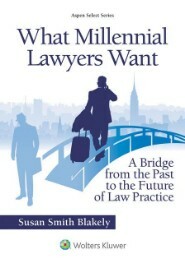 This entry was posted in Career Counselors, Law Firm Managers, Law Students, Practice Advice, Young Lawyer. Bookmark the permalink.